First of all I never thought I would make a lace shawl. 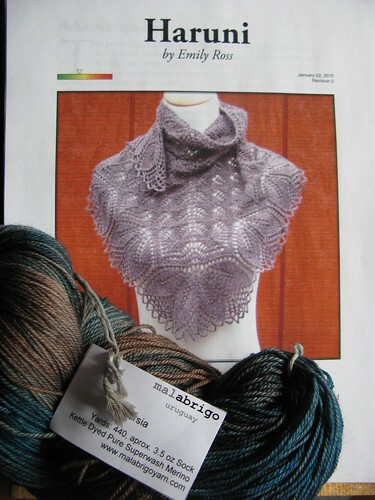 It’s just not my style, until I laid my eyes on the the Haruni pattern and it is free! It is just too beautiful not to make, even though I can’t picture myself wearing it ever. And I thought that I would never pick up another lace project after the lace scarf that I made, and re-made, and re-made for my dear friend. But, I decided to do the unthinkable and try lace again. I found this irrisistable colorway in Malabrigo yarn. It is slow going for me, but I’m making progress. I’m almost to chart B. So far it has been smooth sailing. 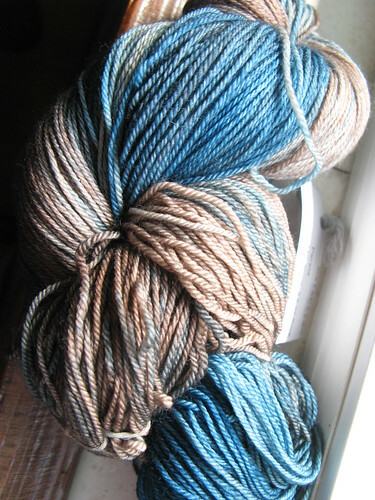 The only problem is that, as beautiful as the yarn is, I probably shouldn’t have chosen a verigated colorway. The changing colors are competing with the lace pattern. 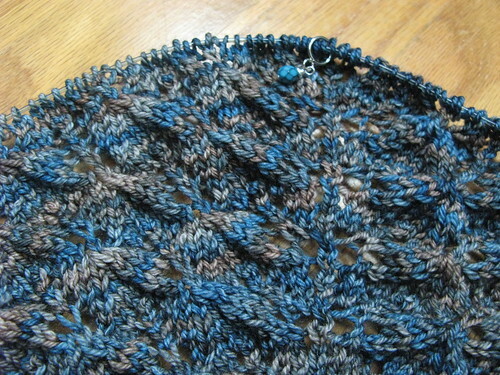 I’m not turning back now, but if I ever do lace again, I will keep this in mind when choosing my yarn. One last thing, sorry for the lack of blogs. I’ve been out of sorts lately… should be getting back to myself in a few weeks I hope!